Mayor Drs. H. Ano Sutrisno, M.M. The sultanate court lies near the modern day city of Cirebon on West Java's north coast. Throughout the 16th and 17th centuries, the sultanate thrived and became the region's centre of trade and commerce, as well as served as an Islamic learning and dissemination centre. The sultanate split into four royal houses, starting in 1677. Today there are four kratons (palaces) in Cirebon; Keraton Kasepuhan, Kraton Kanoman, Keraton Kacirebonan, and Keraton Keprabonan, each has their own lineage and all are the descendants and remnants of the Cirebon Sultanate. According to the manuscript Purwaka Caruban Nagari, in 15th century Cirebon started as a small fishing village named Muara Jati. At that time the port of Muara Jati already attracted foreign traders. The port master at that time is Ki Gedeng Alang-Alang whose appointed by the king of Galuh kingdom located inland in Kawali, Ciamis. He moved the port to Lemahwungkuk, 5 kilometres southward. As the new settlement leader, Ki Gedeng Alang-Alang was bestowed the title "Kuwu Cerbon" (Cerbon village leader). 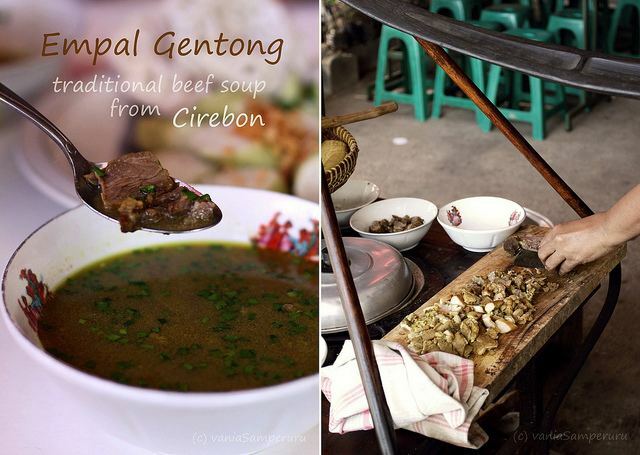 Being on the border of Sundanese (i.e., West Java) and Javanese (i.e., Central Java) cultural regions, many of Cirebon's residents speak a dialect that is a mix of Sundanese and Javanese, known as the Jawareh dialect, and it is thought that the word "Cirebon" derives from the Javanese word, caruban, meaning "mixed", a reference to the city's mix of Sundanese, Javanese, Chinese, and Arabic cultural elements. Alternatively, it could be derived from the Sundanese words of "Ci" (water or river) and "Rebon" ("shrimp"). (Indeed, the main production of the city is fishery including shrimps). Mt Ceremai, the highest peak in West Java, is a large volcano situated about 40 km to the south of Cirebon. Parks and other tourist spots on the slopes of Mt Ceremai are popular places for groups from Cirebon to visit during weekends to escape from the hotter climate on the coast. The village of Linggajati, near the town of Cilimus, (where the Linggadjati Agreement was signed) is one such place. Public transportation brings tourists and visitors here. Some of the local political elite in Cirebon and surrounding regencies have campaigned for Cirebon city, together with the regencies of Cirebon, Indramayu, Kuningan and Majalengka to be established as a new province - in the same way as Banten Province was formed by splitting it away from West Java. To be a new province it is required that it should be proposed by at least three regencies. Leaders from four of these administrations have given their consent, but Kuningan and Majalengka Regency has turned down the idea and indicated that it would prefer to stay part of West Java. 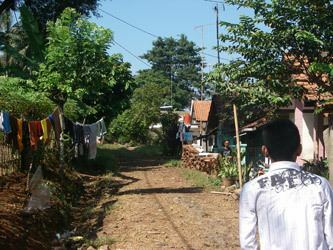 However, the lack of support from the Kuningan and Majalengka area does not preclude Cirebon city and the other three regencies from continuing to promote the idea.